Most people desire a beautiful smile with straight teeth. But, many of them do not opt for an Orthodontic treatment because of the long duration. Invisalign has revolutionized Orthodontics because of its discreteness and comfortable wear. This has resulted in many adults choosing to correct their crowded teeth. Still, one could not get around reducing the orthodontic treatment time. Now with modern technology, there is a method in cutting down this treatment time to a considerable extent using a product called AcceleDent. 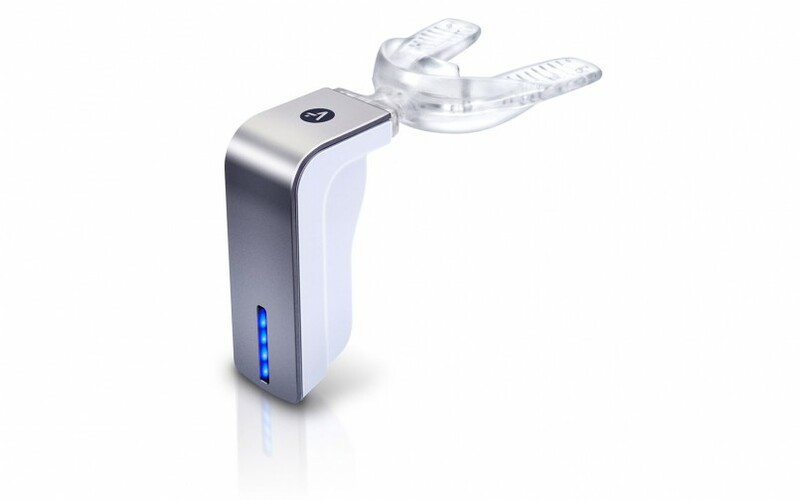 Acceledent is a truly innovative type of device that is totally safe. It generates and delivers micro pulses to your bone tissue, stimulating the bone cells and thereby causing quicker and easier tooth movement. It can be used with dental braces or Invisalign trays. AcceleDent is a safe and proven technology, classified by FDA as a Class II single-use medical device. It requires only 20 minutes of use per day, while watching your favorite TV show or reading a book or while studying. At Dr. Joy Dental Clinic, a leading dental provider and a leading dental clinic for Invisalign in Dubai with a team of highly skilled Orthodontists, are proud to introduce AcceleDent. Now you can achieve a beautiful smile, faster and easier! Please contact us to learn more about AcceleDent. How much this will cost (approximately) and how long it may take? Thank you for your enquiry. The price of Acceledent is AED 5,000 and is used for 20 minutes per day. If you would like to speak with one of our Specialist Orthodontists for more information, please call our Jumeirah branch today. Previous post: Top tips to beat bad breath!